The CROSS UP! zone offers a special programme developed to help you boost your general fitness level. It is a type of circuit training created with the aim of preparing people for any physical challenge. It focuses on constant variation of functional movements in high intensity and thus helps enhance your overall fitness level. All workouts may be customized according to a particular level of fitness, age and experience. CROSS UP! training may be performed both on the OMNIA multi-functional tower as well as without it. How does a Cross UP! workout look like? In CROSS UP! we focus on maximum intensity of exercising. Individual workouts contain a lower number of exercises with a specified number of repetitions and a limited time period. Exercises in the CROSS UP! zone are variable; they include basic gymnastics movements such as push-ups, pull-ups, squats and jumps, as well as exercises using weights or bodyweight. The workout is complemented with aerobic exercises. Exercises in the CROSS UP! programme are combined in various manners so the workout is not monotonous. 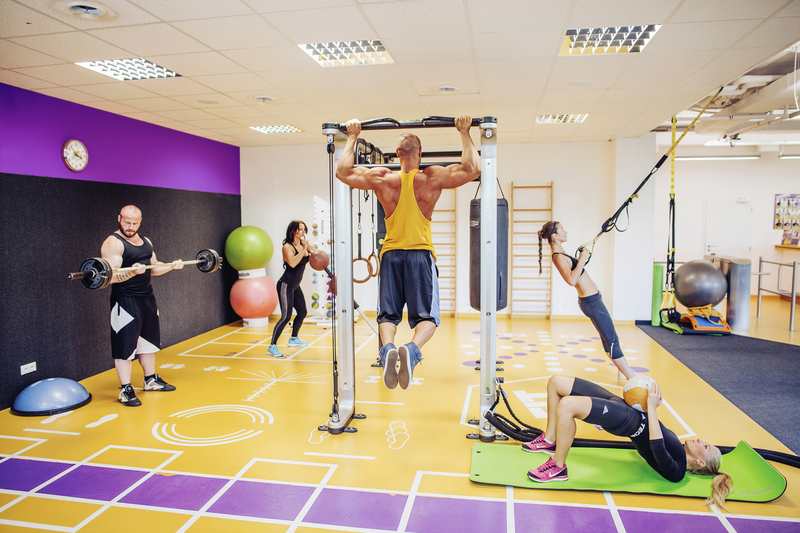 Workouts may be supervised by a trainer, done in a group or individually. CROSS UP! does not focus on a particular movement ability but it helps enhance your fitness level and to shape your body. It is an all-round training so it develops all components of your physical fitness. It represents a variable circuit training which combines several types of exercises. It is a highly motivational activity because it makes you work hard, do your best and meet the criteria of the time limit and of the number of repetitions. Your performance will thus improve from training to training. Workouts in the CROSS UP! zone under the supervision of qualified trainers take place every day from 6 p.m. to 8 p.m. They are free of charge for VIP members! Ask the receptionist for more details.